This ex Washington DC PCC was rebuilt by Leonard's Department Store in Fort Worth, Tx. 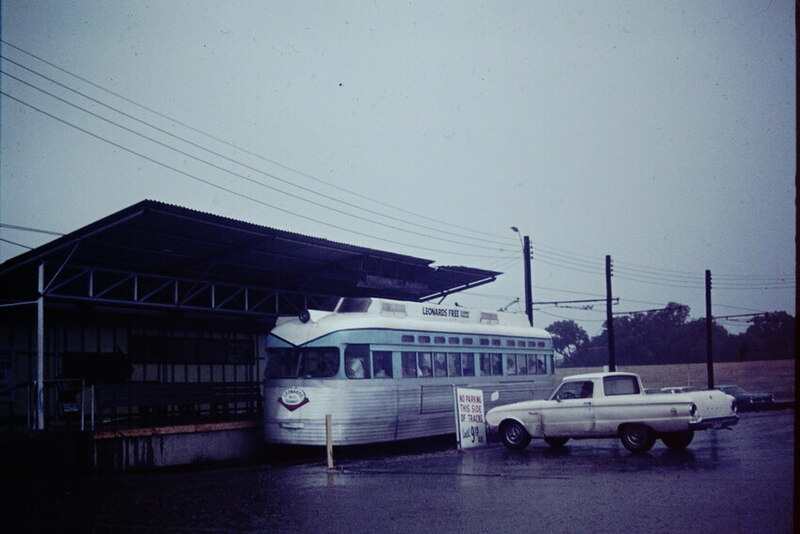 and used to transport customers from the store to off-site parking lots. Photographed by Mitchell Libby, August 13, 1971. Added to the photo archive by Mitchell Libby, February 11, 2019.